The dilemma of our time. We are standing in line at the market, with our fresh organic produce. And we need to decide paper or plastic. About a decade ago I did some research. Here is what I found. I found that they were about the same. That while plastic is made from oil, it biodegrades pretty quickly, and that paper, while killing trees to make them, the trees are harvested specifically for that purpose -- it's not like they are cutting down virgin forests for them - and the too are designed to biodegrade pretty quickly. Proof that you can find data to support anything you want, I just found out that all of this is wrong. This started for me in a small privately owned market down the street. This place was transformed a few years ago, it was a dingy 1950's supermarket that had grey meat and dusty canned goods. It still looks like it could use a new floors and fixtures, but they got smart. They lined an entire wall with open front refrigerators and filled them with craft beer. It is now the go to place for the local students. My town has a large university and five colleges. The bulk of our residents are students, faculty and administrators. They now do very well and have a good selection of produce, and a handful of other things. It is a great place when you realize you are out of dog food on a Sunday night at 8:00, and really just want to run in and run out. So I heard the young woman at the register - tattoos, face piercings, blue hair, talking with a customer buying a six of craft beer that she thought it was about the same, paper or plastic. I decided to go home and check my research. I was wrong. way wrong. Yes, the paper for bags is from carefully controlled and harvested trees. They are left un-dyed so when they biodegrade they don't pollute. But here is the problem. First, they take up a lot of space in the landfills. Second, they take thousands of years to biodegrade, because they are packed so tightly into a landfill, they don't get any oxygen. Which is needed for them to break down. It also takes a lot of water, and power to make them, so they are impacting the environment that way. Though it should be stated that more people recycle their paper bags than plastic. which usually ends up in the garbage. On the other hand, plastic bags were designed in the 1970's to replace the environmental impact of paper bags. They take very little power, and no water to produce. They are made out of ethane which is a by product of natural gas production. It is usually just burned off, but they figured out a way to make bags out of it. Plastic bags weigh nothing, and they are made to biodegrade very quickly, even in a landfill. They really are brilliant engineering. So if you have those two choices, plastic is by far the winner. But you don't have just those two choices do you? No, you have a third. Frankly, I think if you want a bag at a store you should have to pay for it. This would be the single biggest thing we could do to minimize their use. Well, maybe the second biggest thing, we could make them illegal like California. No, what you should be doing is keeping a reusable bag or two in your car. Let's just eliminate the problem completely. I bought a couple of bags, for each of our cars. They cost me about $5 a piece. Sometimes I forget to grab them, but I have drastically reduced the amount of plastic I use. You can do this too. Give it a shot. Hey! Do me a favor. If you are one of the many people who have bought my book GO! on either Amazon or iBooks. Please take a moment to review it. It is the single biggest thing you can do to support a self published author. Even more than buying my book. It takes just a few minutes, and you would be doing something nice for another person. It would be greatly appreciated. Got a lot of Gear? I have a lot of gear. There is no denying it. Even though I work hard to have a minimalist lifestyle, I teach a lot of topics and all of them have associated gear. I do try and minimize how much I have, but facts are facts. I have a lot of gear. It has always been something I struggled with as a minimalist, here is how I handle it and how I organize my gear which is something a lot of people active in the outdoors struggle with. 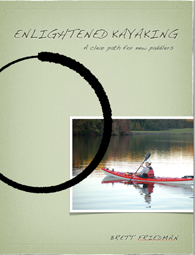 I teach kayaking, and have for a long time. I have what I need for teaching and expeditioning, and that equals a large duffel bag, two kayaks and two paddles. I teach sup as well, and a lot of my kayak gear crosses over. I use the same PFD for both instead of a more sup designed life vest. A lot of sup instructors use inflatable PFD’s and I choose not to. But I have two boards, two leashes and two paddles. 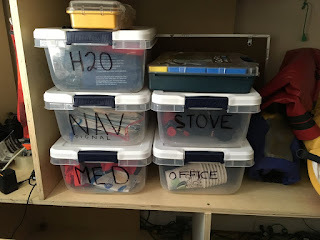 I teach navigation, and have a plastic lidded bin that houses all the things I need for those classes. Maps, compasses, and accessories. I would probably thin out my map selection if I wasn’t teaching this, but it is good for me to have a lot of resources for my classes. For the same reason I have three different compasses, to show variations on a compass theme. I also keep things in the bin that I consider as falling into the realm of ‘signal’. This is strobe lights, chemical light sticks, personal locator beacon and such. I also keep headlamps in there. Another bin I keep is ‘med’, which includes first aid supplies that I am always using and resupplying my many first aid kits. I have a separate canvas bag that goes on WFA courses with me. But if it doesn’t fit in that bag it doesn’t go on a course. This includes teaching materials as well props, prizes for students, note books for me, and reference materials for when I need to look something up. I have two more bins that get a lot of use. ‘Stoves’ and ‘H20’. The first is self explanatory, everything stove related is in this bin. Both canister and liquid fuel. I own 6 stoves. This is a little excessive and Ill be selling one of them soon. I don’t generally accept free gear, but two of the stoves I got for free, specifically so I could use them when I teach. The third is a backup solely for expedition use. H20 Is everything water filter related. I own four water filters and again, two of them were free for teaching. The beauty of this system is when I am going to teach a class I just grab the appropriate bin, and whatever expendables I need. I never waste time digging for gear. Some things stay in my truck for months at a time. The entire summer all my sup gear and kayak gear is in the truck. I use it all most weekends. All I do is replace expendables and ‘surprise and delight’ - leave a comment if you don’t know what that is! - and maybe wash something or change something out. When I speak of expendables I mean things that get used up and have to be replaced before the next class. In my map and compass class everyone gets a printed map of where we are working so they can learn on a very specific map. They get to take notes on it, and do things like plotting a bearing. 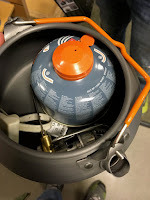 It also refers to stove fuel - I use a lot of stove fuel in the course of a year - as well as things I give away like water additives and power food. As fall approaches and I transition to land based classes I keep a backpack loaded with the gear I always carry. Rain layers, extra warmth layers for students - they frequently under dress - a hydration reservoir and other things I have to bring along. This keeps it easy to grab my gear and go. What about my big stuff? Well, in my office I have what we refer to as the gear monolith. A large divided structure for storing gear. I has a small cubby for anything that needs to be charged and storage for batteries. There is a power strip in the cubby, and all my chargers are ready to go. Just plug it in and let it charge. When I need it, it will be ready to go. Another, larger cubby has all my tents and sleeping pads. Self inflating pads are stored unrolled with the valves open so that they are inflated all the time. The more a self inflating pad is inflated the faster it will inflate when you use it. Tents and other pads are stored in their bags in this cubby. 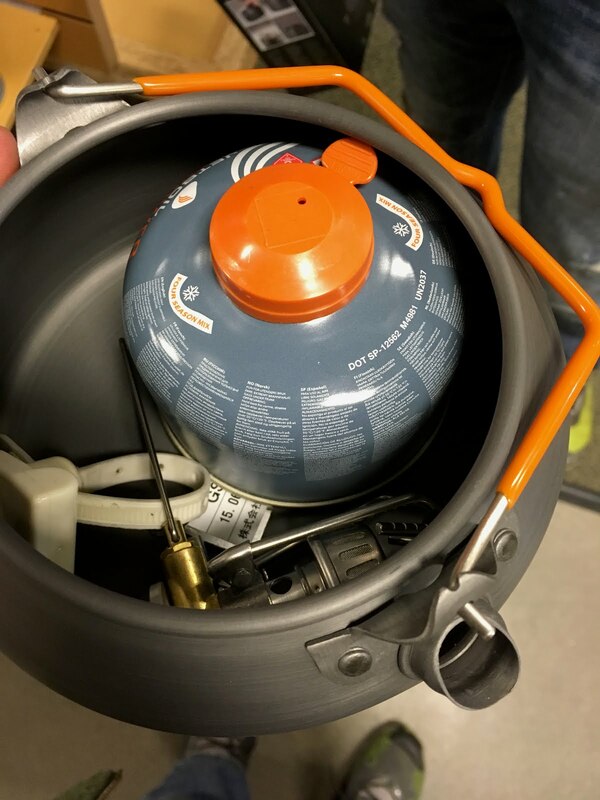 There is a large bin that contains a lot of my camp kitchen gear, and some specific food related gear that I only use when I teach cooking classes. 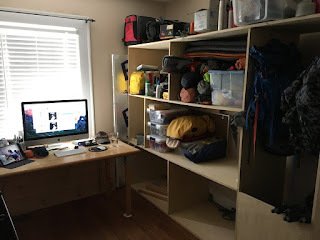 There is a large central cubby that holds my large paddling duffel in the off season. Dry bags are stored in a large dry bag, as is my dry suit. For most people I say store your sleeping bags in large bags so they can be loose, but my sleeping bags are sort of always in use. Several are in my sprinter which is my rolling office a lot of the time. Another is always on my bed. But if you are a normal person store them in the big cotton or mesh storage bags. I have another large bin that is just water bottles and water reservoirs that aren’t in use. I was never a particularly organized person, but forcing myself to get organized has made a huge difference. I refuse to spend time looking for gear, and to combat that I spend a little time organizing my gear. I never store gear in an environment that isn’t temperature and humidity controlled. No attics, basements or crawl spaces. Never. 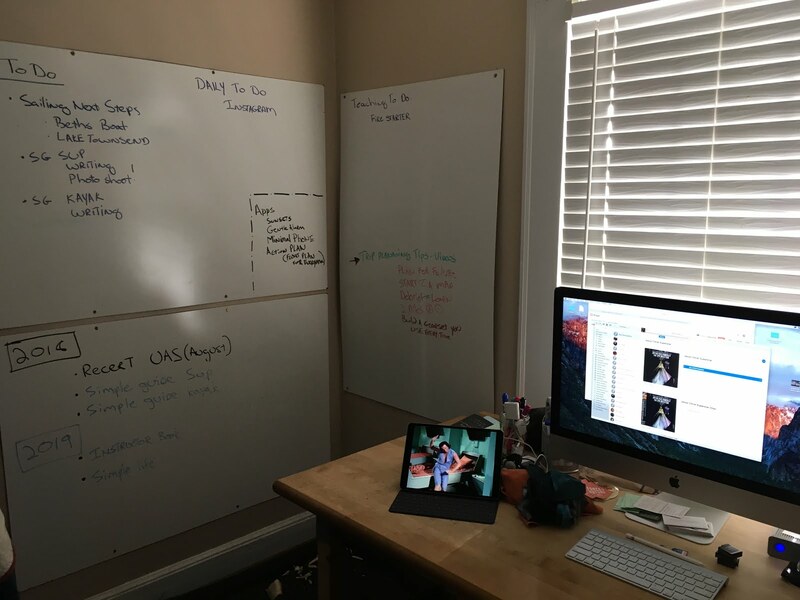 The final part of my office organization is the three large dry erase boards on the walls. 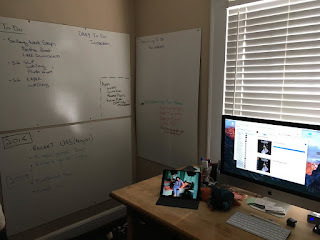 I use them for organization of projects I am working on, as well as things I need to do, both for teaching or other projects. These help keep me on track. 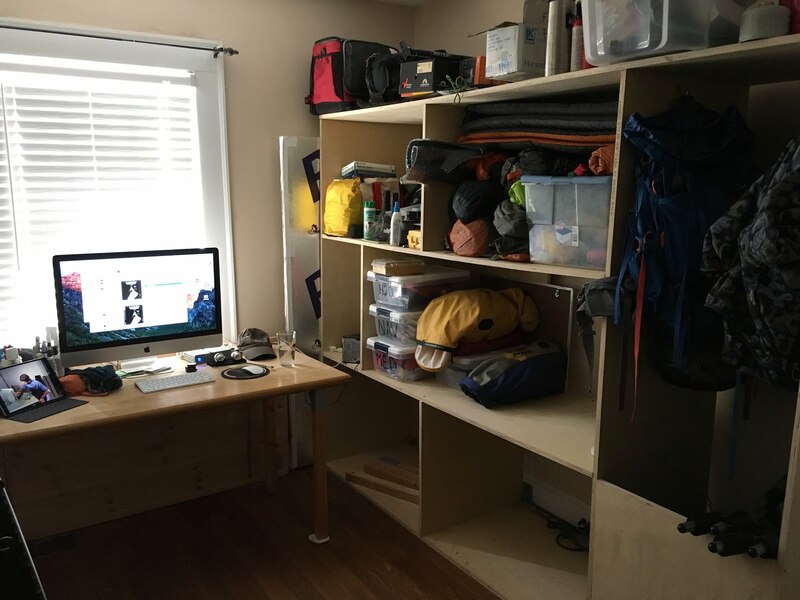 The important thing is to find systems that help keep you organized, so you can spend more time playing in the outdoors. The last chapter of my book is called Next Steps. It is a common phrase in the outdoor education world, and we use it to talk about what students should do next to advance their knowledge in a certain area. With the long term goal to be proficiency in an outdoor skill. I am usually the person giving people their next steps, but today I am thinking about my next steps, in particular when it comes to sailing. Despite growing up on my fathers power boat, and spending most of my adult life working on the water in kayaks and for the last five years, stand up paddle boards, I am a complete novice when it comes to sailing. I have already done a fair amount of reading, but I need to get out there, and spend time in boats. The amazing thing that has been occurring since my last post about sailing is the number of people who have offered up their time, experience and excitement to help me. My friend Lisa - who I consider my SUP mentor - divulged that she got her start on the water as a sailor, I would very much like to sail with her, she is a great educator, and an amazing person. My employer just hired a young woman who is a competitive sailor and US Sailing Instructor, I have already hit her up for some information, and hope to convince her to take me out on the water. Beth, who you may know from the training chapter in my book as well as taking part in the AGAP trip, just brought a Laser sailboat back from he mountains, it needs some work but I am excited to help her get it on the water. Finally, I hear through the grapevine that another friend, Ron, who moved away but is now coming back, learned to sail while he was gone. These are all great opportunities and will make for fun experiences, and will be a boon to learning how to do this. Part of this is my network of friends, most are interested in the outdoors, and jump at the chance to help people learn a new skill. The joy that I get out of this is new skills. Something I love. On my last check in with my boss on the outdoor education side of things, he asked why I continue to teach. I told him a big part of it was selfishness. I love learning new things in the outdoors, and no matter how many times I have taught something, I always learn something new from new students. That is what I get out of it. This is a whole new world that I get to play in, and bring my experience from many other venues to play in this arena. Super exciting. So, hey, follow along on this journey. I plan on doing more video through this process, and want to share it with you. Subscribe to the Adventure Otaku youtube channel, content is coming. In the meantime, Instagram is the pest place to follow this next adventure. About a month ago, central North Carolina went a little crazy preparing for Hurricane Florence. While Florence did severe damage tot he coast, it never really found its way to where I live in central North Carolina. But this week we got hit - with little warning! - by Hurricane Michael. We got hit on Thursday around 11 am. We lost our power around 2:30pm. The storm was gone by 6:00pm, but the damage still remains. We got our power back on Saturday night around 9pm, which was surprising. We expected it to take longer. We were just getting into the grove of the silence. The AC and Fan kicking on and off. The sound of our ceiling fan when we are trying to go to sleep. And the never ending sound of our commercial refrigerator - you don't realize how loud a commercial refrigerator is until you put one in your kitchen. Comment below if you want to know why we went that route. While it was inconvenient to not have power, it also wasn't that bad. We got lucky, as we are surrounded by large trees, and many fell, but nothing hit our house. I posted video of the storm at its worst on instagram. Two things struck me during this exercise of no electricity. First, as I mentioned, the silence. People have a hard time with silence. It is the reason your friend calls you when they are driving home from work. A lot of people have a hard time embracing the quiet, because when it is quiet, when there are no distractions, you hear the voice in your head. As a culture, we are bad at quieting that voice in our head and it makes people very uncomfortable. Part of why I like long kayak trips is there is plenty of time to quiet that voice in your head. It takes practice, and you can call it meditation, or deep breathing exercises or whatever you want. But it is a good skill to have, the ability to keep your wits when all is quiet. We have so many distractions to day that keep us from practicing that skill, and it really does scare people. Try this, go to have lunch with a friend, and put your phone on the table, face down. Don't look at it or pick it up during the meal. Just connect with the person across from you. You may find this difficult, but give it a shot, and invite the person opposite you to do the same. I am really enjoying the new screen time app that is included with iOS 12. It gives me the ability to see where I am spending my time on my phone or my tablet. It is sort of a device separation detector. As I look at screen time now, I can see on Friday my usage ballooned, because I couldn't use my iPad or desktop. But when I look at the app on my iPad it was way down. I average about 45 minutes a day on my phone - which sounds like a lot, but I think it probably isn't. But on Friday it was right at around 2 hours. Okay, the second thing that struck me was the storm itself. On Monday I looked at the weather radar and the Michael was a tropical storm and a poorly organized one at that. Meaning it didn't have a very pronounced circular motion. It just looked like a large storm, and I didn't think it would be that bad. On Tuesday I wasn't too surprised to see it was a Category 1 hurricane, but when it made land fall the next day it was a powerful category 4 hurricane. So how did a poorly formed tropical storm become a powerful cat 4 in two days? How did it do this in a location where storms rarely form, the Gulf of Mexico (most hurricanes form off the coast of Africa, and take their time moving slowly across the Atlantic picking up strength.) It is also surprising that the storm did this in October, the end of the hurricane season? Well, the answer to all these questions is abnormally warm water. Warm water is what feeds hurricanes. The warmer the water, the more evaporation there is, the more moisture they carry. And while the wind from a hurricane is bad, it is the water that does the damage. As bad as the damage was it would have been far worse if it hadn't been going so fast. If this storm had lingered the way Florence did, thousands would be dead. They are actually thinking of changing the saffir-simpson hurricane scale, to reflect water content as well as wind. Because wind levels only tell part of the story. Honestly, we dodged a bullet with Michael. It could have been much worse. But, abnormally warm water? Why? Simple. Take a guess? Climate change. The only way for a storm to form that fast, in October is the abnormally warm water from the changes to our climate. Hurricane Michael, was the exclamation point added to last weeks IPCC report. Unless we take dramatic action to curtail greenhouses gases in the next 12 years, by 2040, storms like Michael will seem small. Ask someone who lives on the coast of Florida what they think of storms like Michael being small. Climate change isn't a hoax, or a Chinese scam, or a ploy by money hungry scientists. It is a dire warning that this planet is done with us. If we don't make dramatic changes now, life as you know it will be very different in 20 years. Cities will be underwater, food shortages will be common - because it will be harder to grow crops. (oh, and Michael killed millions of pigs, and hundreds of millions of chickens. it is starting already) Both of which will lead to devastating wars. So when you put your phone down over breakfast, talk to your friend about climate change and what they are going to do about it. Because it is going to come down to all of us doing something. We can all do a little today, or a lot tomorrow. It is your call. A big Weekend, both good and bad. It was a big weekend, that took a long time to make happen. I spent Saturday taking an introduction to sailing course in Oriental, NC. My wife and myself spent four hours sailing a beautiful Catalina 42 with a highly experienced captain. We had been trying to make this happen since last April, and the plan changed dramatically over that course of time. If you have read my latest book you know the dramatic plan I laid out in it. A new challenge for myself, and my wife that would take years to make happen. I am still not sure we can pull it off, but I am at least confident in the next steps. We both enjoyed our time on the boat, and with the process of sailing, and now want to start learning the finer details of moving a boat with nothing more than wind. 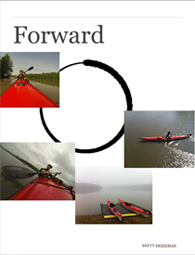 I was amazed how much of my kayaking experience translated to a sailing environment. Things like reading and understanding wind. The feel of a boat in a following sea, and the effects of the shape of the keep on tracking. All had direct comparisons in the sailing world. Unfortunately I wasn't surprised with the people of the sailing community. I have to stress, everyone was very nice and welcoming, but it is a community with very little diversity, and it is a sport that - at least in my small exposure to it - seems designed to be exclusionary. Besides the entry cost of sailing - though if you look at youtube you will see that there are ways around that - the thing that struck me the most was the amount of jargon that was thrown around and that people - even novices - are expected to know it. Keep in mind that I have worked the past 20 years (almost) in the outdoors. I was a skilled climber and mountaineer. I teach navigation and stand up paddling. I am a very skilled and highly experienced kayaker, having paddled thousands of miles in remote locations and extreme conditions. None of that prepared me for the amount of vocabulary and terminology that is used even amongst people who have admitted that they know nothing, which was how we described ourselves. As an outdoor educator I can say that isn't a good way to welcome people to a sport. Now, admittedly, if you are teaching myself (a long time outdoor educator) and my wife (a tenured professor in higher ed) we are harsh critics of people who teach. To a point where it may be unfair. Our captain was a highly skilled sailor, there is no question. But having a great deal of skill is not my first criteria when I am hiring an educator. It is having the ability to break down concepts, simply, and make them easy to understand. With this, I was not impressed. But enough of my complaining, I had a great time, and look forward to taking my next steps into sailing. I was super excited that after posting video on instagram I had a number of close friends who work in the outdoors fess up that they got started in sailing and would love to take me out, and were happy to help pass on knowledge. I am excited to have something new to learn. Now here is the bad. We were in Oriental, NC about 30 miles north of where Hurricane Florence made landfall a bit less than 3 weeks ago. The coast of North Carolina is still in pretty bad shape. Though spirits are high, and peoples energy is positive. All the campgrounds were closed due to damage and what hotels were open were full of displaced people and people working to repair the damage. We got to spend our second night in a Wal-mart parking lot, which is really no fun. We planned on spending Saturday night at the coast again, but couldn't find place to stay, and started back early. We were almost in Raleigh before we found a place to stay. Then, Sunday morning we were greeted by the IPCC report that the environment is getting worse more rapidly than the worst estimates and we have a mere 12 years to make dramatic changes across all parts of our society - power, fuel, housing, farming - to keep our temperature rise below 1.5 degrees centigrade. We have already risen a full degree. I was not surprised to see this story fall off the front page of CNN less than 24 hours later. It seems with all the chaos in the world, no one cares that we are destroying our world. The current US administration simply doesn't care, which leaves it up to us to either change the administration or make the changes to our society ourselves. The whole thing is pretty depressing. So, that is where I am. Excited for new challenges and dreading the next 5 years, waiting to see the impact of our neglect coming home to bite us. Head over to instagram to see the video and the most amazing photo of storm damage imaginable. Stick around here to see what else happens! A lot is brewing! Do you consider yourself active in the outdoors? Do you care about the environment? Do you consider the outdoors when you are making a purchasing decision? I was thinking about this today, I was thinking about the actions of some people I know, and some decisions they made. Both are people who I would consider very active in the outdoors, but both made decisions that were extremely bad for the environment. I was curious if they considered the environment in their decision making? Which got me to thinking about, the gap between people who worry about the environment, and who also choose not to vote. I learned in 2016 that there is a big disconnect between people who care about the environment and people who vote. All these thoughts will eventually find there way into a blog post, but to help me get an idea as to what others think, take this quick 10 question survey. Thanks! One of the things I enjoy having the opportunity to do is help people get outfitted for trips. If you follow my instagram you know that I recently consulted with Molly who is headed to Alaska. A week before that I consulted with Jim who is prepping for a thru hike in New Zealand on the Te Araroa. Jim and I were talking specifically about navigation and personal locator beacons. But back in August I had a meeting with a guy named Jason who needed some help planning for something really special. Through a work situation he found himself in Peru with a day to kill. I should point out that Jason is an ultra-runner, but what he was planning was a little extreme. 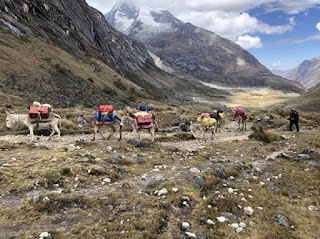 His plan was to hike a the Santa Cruz Trail (also none as the Santa Cruz Trek) witch is a 30 mile stretch of trail that cuts through Peru's Cordillera Blanca. Thirty miles isn't that far, but this is a difficult trail, that tops out at 15,000 feet. People normally do the trail in 3 or 4 days, but Jason only had one. One day, to hike and run 30 miles, at altitude in an environment that offers some pretty extreme variation. He only had one day to complete it, but that wasn't - in my opinion - the biggest problem. The biggest problem was he had no time to acclimate to the altitude. 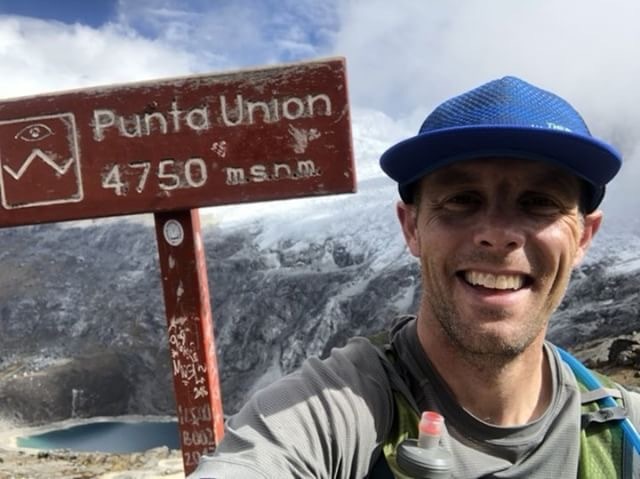 The trek started at 11,200 feet, and he would only have one day at 10,000 feet prior to the run/hike. Here are some things to know about altitude. It is the most researched aspect of wilderness medicine, and yet we don't know a whole lot about why people get altitude related illness. We used to think that there was a hydration factor, and while you should always make sure you are hydrated, particularly at elevation where there is far less moisture in the air, it doesn't seem that alone contributes to it. The biggest problem is that you can go to altitude a dozen times with no problem, but then your next trip you can get Acute Mountain Sickness or worse, Hape (High Altitude Pulmonary Edema) or Hace (High Altitude Cerebral Edema). That is the part we can't really figure out. So Jason and I talked about signs and symptoms of Altitude related illness, medications he could take to help him acclimate, and what to do if he felt issues coming on. Secretly I suspected that if he could in fact do the trip in one day, he could get up and down before his body had a chance to object to the altitude. Well, object more than make it difficult to breath. We talked at some length about the gear he would be carrying, the goal was of course to keep the weight low, but still have everything he needed in case it went bad. Looking at Jasons final gear list, he ended up going lighter than I would have, but he still felt was a little too heavy. And that right there is the difference between consulting on a trip like this, and actually doing a trip like this. I would love to do the route, but I could never run/hike it all in a day. But as a consultant for his gear, I have to give him a cushion in case things go poorly. But as the athlete, he is more willing to stick it out there, because he knows what he is capable of. I didn't doubt he could accomplish this, but my concern was uncooperative weather, mixed with an altitude problem. This is something that I write about in the opening chapters of GO! Sometimes you have to stick it out, and really extend yourself to get things done. I did it on the Inside Passage. Andrew - who I profile in the book - did it with his Motorcycle ride across the country to Alaska. Jason was already an accomplished ultra-runner, but here is his description of the first morning. I headed out at 4:25am with my Black Diamond spot headlamp fully blazing and set out for what would either be a total disaster or an epic, once In a lifetime event. I remember thinking as I ran the half mile dirt road to the trailhead, how crazy it was that I was doing this solo, self supported in a foreign country with very limited Spanish and photo copies of a route map made by a British guy. I had no choice but to follow through as I had a friend waiting for me on the other side in what I predicted would be a 12 hour traverse. So how did he do? He completed the route in 9 hours and 50 minutes, which I think is just incredible. I was excited to have helped out, even if just a little bit. The biggest hurdle in making big trips happen is our self doubt. Hats off to Jason, he may have had a little in the beginning, but he knew deep down he could do it. What an amazing trip! Who made it possible to predict storms and save lives. As I write this hurricane Florence is dancing in a large circle around me. I am in central North Carolina and a few days ago it was predicted that this storm would race ashore and pass right over my head, dumping literally tons of water on the way. Then a couple of days ago meteorologists predicted a change. Florence would curve south, and head inland slowly, followed by a sweeping curve north. Her wind would also drop dramatically, causing less damage - though the slower movement meant she had more time to drop more water. Everything is a trade off. And guess what? That is exactly what happened. It looks like I won't see much more than her outer bands. I spend a lot of time maligning meteorologists. I teach my students - unfairly - that meteorologist in English translates to liar. It always gets a laugh. I can't tell you how many times bad weather reports have ruined perfectly good plans. But the fact is, that particularly for events like a hurricane the predictions are better now than they have ever been, and ultimately it saves a lot of lives. How does this happen? How do we have the ability to predict the actions of killer storms. There are three things that happen, to make this possible. The first, is the advance of computer technology. Ever faster computers, make it possible to work with all the data sources and variables that make weather happen. Research in the 1960's and 1970's in chaos theory and supercomputers made it possible to figure out what was going on. Today we see the outcome of all this work with accurate weather system prediction and spaghetti models for how storms will move. This is chaos theory and supercomputers at their finest. The other thing that occurs is people decide to dedicate their lives to scientific research. They go to work at research institutions, which are almost all publicly funded universities. The by-product of all these things, studying an extremely abstract concept like chaos theory, working to make computers infinitely faster and more powerful, and students becoming scientists give us better understanding of weather, and how it effects us. Which means local governments have a better idea of what is going to happen and can better prepare themselves, their towns and their people for major weather events like a hurricane. I want to apologize to every meteorologist I have used as a punchline. It won't happen again, and I appreciate the advances you have made in the field of weather prediction. The nature of my work - outdoor education - means that I rely on accurate weather information and tracking all of its changes. I have the ability - from my phone, while sitting in the cockpit of a kayak, or standing on a SUP - to see recent satellite photos, and predictions on wind and rain. The ability to do that is because of the hard work of the people mentioned above. I literally have in the palm of my hand significantly more computing power than was used to go to the moon, and I utilize it give people good, exciting (and safe) experiences in the outdoors. Finally, the next time someone says to you they don't believe in global climate change, or global warming, explain to them that people have been working hard for decades to understand the incredibly complex system of weather and climate that we are surrounded by. We know, all too well, the effects of what we have done to our environment. All you have to do is open your eyes, and see those effects around you every day. If they don't listen, just walk away. They will understand when we run out of food, and their house is underwater. Just don't let them knock scientific research and publicly funded research. They do amazing work, and make the world a better place. We need more people taking up hard sciences like this, as a nation we are falling far behind other countries. If you are interested, here are the apps I use for weather prediction. Dark Sky is a micro weather app that gives hyper-localized information. My Radar is just that, and while it is free I paid for the hurricane tracking update. Well worth it. Windy is an amazing weather app that gives a visual representation of direction and velocity of wind. I have started using Predict wind which is very popular in the sailing community but the free version of the app is rather limited. Years ago, I was folding clean laundry when I made a startling realization. I had a pile of T-shirts, which is primarily what I wear, and I realized I hadn't paid for any of them. They were many different colors and all had garish logos or pithy sayings on the front or the back. All of them were shirts I had gotten from either my employer or product vendors for free. The unwritten understanding is this. You will give me a shirt to wear for free, and I will wear it. In doing so I am subtly implying an endorsement for your product. Over the years I have received many items for free from vendors. The company I work for has a policy that I can't receive a gift greater than $50. I have received a lifetime supply of stickers, key chains, beer cozies (and I don't drink beer!) and more bottle openers than I will ever need in a lifetime. 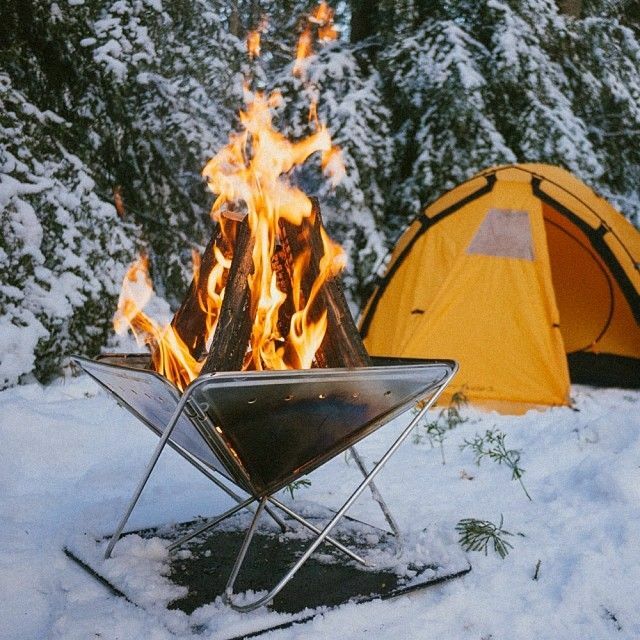 (Seriously, the outdoor companies need to think outside the box. Bottle openers? Really? Yakima puts them on their car rack accessories. What does that say about the outdoor industry?) These days after a conversation with a vendor rep, when they dump out their bag of free goodies, I generally just walk away. There is rarely anything I would like in that bag. There is almost certainly nothing I need. The agreement we are all making, is that you will give me a shirt (or some other giveaway) and I will be excited to use this free item. I will like it, because it makes me part of an exclusive club. But in reality I am unpaid marketing for you. I am a walking billboard, and I don't want to be a walking billboard. Particularly for free. In essence though, I am not doing it for free. I am getting paid, in the form of the free stuff I am receiving. The schwag is my payment. If you ask me, that is a lousy deal. This was a big part of the reason I developed a "uniform" of a grey T-shirt and blue jeans for everyday wear. I started by recycling all those T-shirts. Some became rags, some went to good will. The old ones went right in the garbage. I simply don't want to be a billboard for your outdoor company. I wanted to get away from what I think of as an implied or "soft" product endorsement. A big part of my job is recommending gear to people, and I am absolutely fine with that. I have no problem telling you what piece of gear works well and what piece of gear is a waste of time and money. It is one of the reasons I started doing product reviews on this website. None of those are sponsored by the manufacturer. If They are my sponsor, I am beholden to them. Gear Junkie used to give real reviews listing what worked and what didn't. Then they got popular and got a ton of sponsors and they could no longer be honest about products. I'm sorry Gear junkie but my dream truck isn't a diesel chevy pick up truck. Just because you got paid this month by chevy doesn't mean that is a piece of outdoor gear. That said I still read GJ and understand what they do, and have to do. Business is business. I understand how this happens in the outdoor industry, most of us who work in the outdoors don't make a lot of money and free clothes are awesome. What really upsets me is when I see this outside of the outdoor industry. I see yeti stickers on the back of cars and trucks. This makes my brain ache. You just spent $30 on a coffee mug, and want to tell the world by putting the sticker on the back of your car? Or you decide to wear a Yeti hat? So after that purchase you feel you owe the company so you will wear their brand name? No coffee mug is that good. But that isn't actually what is happening though, is it? People put a yeti sticker on the back of their truck because it gets them entrance to a club. The cool outdoor club. I feel bad for these people because they desperately want entrance to a club that isn't that cool. You want to join a cool club? Go climb El Capitain. That's a cool club, and those people know how to party. Here is another example. You spend $40K on a new car. On the back of that car is a sticker with the name of the dealer, and maybe even a license plate frame with the name of the dealer. So I spend all this money and I have to advertise for you? I just gave you $40K you should be advertising for me! I can also tell you from experience the stickers are supremely difficult to get off, without ruining the paint on your car. To be honest though, I have to come clean. I have been sponsored in the past by gear companies. I was never asked to say anything specific about a product, but I have been given products for particular projects with the manufacturer fully aware that 10,000 people would see their product in a picture or a video. That I consider a fair trade. I am getting something I need - an actual piece of gear as opposed to a key chain or a T-shirt. They are getting something they need, exposure. I also make exceptions if the product is the best option. I recently had to replace the long sleeve, sun protective shirt that I wear when I teach paddling. I grabbed every piece of clothing I could find that met my criteria and took them to a fitting room. I tried on 12 shirts from 5 brands, and was upset that the best option was actually made by Patagonia. Now, there is nothing wrong with Patagonia, they are a great company that make great products but the shirt that met my needs had a large Patagonia logo on the back. I would have rather a shirt without a big logo. The shirt is amazing though! I have been saying for close to a decade, if you want to market a product, give it to the people who use it. If it is any good people will tell their friends. If you think outdoor instructors and guides don't sit around a campfire talking about products that work and products that don't you are crazy. GoPro exploded in 2008 because they offered a really good prodeal to outdoor professionals. They made a good product, everyone saw us using them, and we talked about how great the product was. I consider that a fair trade. I still see a lot of people in my industry who will take anything if it is free. "if it's free, it's for me!" is a phrase I have heard in the past. By all means, go for it. But if you want me to represent your product, and tell people how great it is, Your going to have to give me more than a beer cozy. For the first time I have written a book that doesn't require an E-reader. For the first time I have produced a physical book. I didn't think this would seem like a big deal, but it really seems like a big deal. I am extremely excited to say that GO! 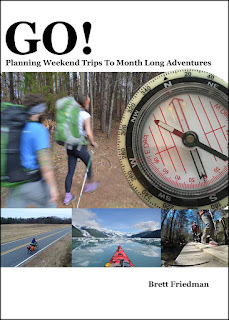 Planning weekend trips to month long adventures is available on Amazon. Follow the kindle link on the right and there is an option to buy it in print. I am extremely proud of this book, and hope you enjoy it. I hope it helps you bring outdoor trip plans to fruition. If you are one of the many people that have bought the book already it would be incredibly helpful if you could review it wherever you bought it. Proof that I am getting somewhere, I have already found an illegal PDF version of it available online. Please don't buy it there. Thanks. I need three people who have a kindle (that can view color photos) and three people who have iPad's. If you feel like helping me out with a project - some cash will be involved! - send me an email. Recently I was training new staff, people who would be working for the major outdoor retailer that I work for. A big part of their training is learning the multitude of products that we sell. When it was time to talk about Yeti - the expensive cooler company - I had us sit in a circle and talk about how we felt about the company. For the record, I own a Yeti tundra 65 that lives in my van. I am very happy with it. My dog has already tried and failed to chew her way into it. If it is full, the ice lasts a very long time. If it is half full it is no better than a $40 cooler. But for what I need a cooler to do, I am very happy. My biggest complaint with cheap coolers is that I end up replacing them every 12 to 18 months because they can't hold up to the amount of abuse my work puts them through. My sister has a theory. A toaster theory, that I think applies here. She thinks you can buy a $12 toaster, or a $300 Dualit toaster. If you buy the $12 toaster it will work fine, but you will replace it yearly. If you buy the Dualit, yeah it costs a lot more, and really they both just make toast, but for the rest of your life, you never have to go through the trouble of buying another toaster.. This is how I feel about Yeti coolers. At the end of the day it is just a cooler, but I will probably never have to buy another one. So we were sitting in a circle, talking about Yeti and everyone agreed they were a good product, but pretty much everyone makes a Yeti style cooler, that costs less. The reason for this is that Yeti is a company owned by fisherman, who aren't great businessmen. How shall we say, they have had some patent issues. That is a story for another day. What I said to these new hires was that I was curious to see how Yeti pivoted - which they would invariably have to do, to survive - and what markets they tried to slide into. My question was answered two short days later with the announcement of three new Yeti products. 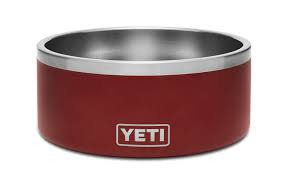 First, the Yeti Boomer Dog bowl. Built like a Yeti Rambler mug - and all the durability that goes with any Yeti product - this dog bowl will survive the perils of life with a dog that chews everything. Like mine. Oddly, I have an all metal dog bowl that has survived the perils of living with a dog that chews everything. It cost me $8. 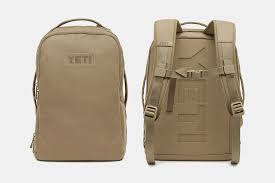 Which is $42 dollars less than the Yeti Boomer. A commuter backpack designed to shed water, and stand upright when you put it down on the ground. It also has rambler pockets - designed to hold their rambler mugs - and 360º protection for a laptop. It looks like a capable backpack. But at $249 it is almost double the price of other commuter packs with a similar feature set. and finally. The Lowlands Blanket. 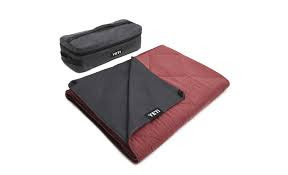 This highly durable, and padded blanket is water proof, and designed with pets and rough ground in mind. But at a staggering $199, I think I will be skipping it. Now admittedly I haven't used any of these products. I have no doubt they are impeccably manufactured, and work as designed. But I can't help but think that this is not the direction that is going to save this company. I think they were doing better in the duffel bag market - the Pangea bag is really impressive, admittedly the waterproof duffel market is pretty small. As a paddler I would love an insulated dry bag from them, like a tin 15 liter hopper bag. I just don't think this is the way to go. Sorry Yeti. Next week I will be teaching the first workshop solely devoted to trip planning. Obviously in conjunction with the release of my trip planning book. I am teaching it at Piedmont Hiking and Outing Club, which is a very active outdoor group located here in central North Carolina. I don’t have the (Fill in the blank). It could be money, time, ability, or another big one: permission from a partner or family members. Money is a good one. A lot of people say they don't have the money to do a big trip, or they don’t have the time to take off from work, giving up that income to do a month long (or longer trip.) We all have bills to pay, right? Mortgages, car payments, phone bills. Life insurance. Health insurance. College debt. Not having enough money is a perfectly valid reason. Except, it isn't. Money should never be a reason not to do something. The truth is, that it doesn't really cost that much to do an outdoor trip. A month of time is nothing. If it means you live lean to put money aside to cover your bills for a month, isn't that worth it? Of course it is. The other part of money is related to the gear. I don't have the money to buy the gear I need to do an epic trip. Except, it's a lousy reason. Gear can be purchased slowly, over time, to help defray cost, but here is the best part - once you have the gear, you can keep doing trips. Yes, my expensive kayak set me back, in terms of cash reserves, but once I had it, I didn't worry about having the gear I needed to do trips. I bought my Delta Seventeen because it was fun to paddle when empty, but could easily handle a month worth of food and fuel. 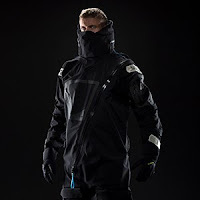 I bought a drysuit by redirecting the money from my daily cup of coffee. It took about 4 months to save the money I needed. Money isn't the reason people don't do epic. Or at least it shouldn’t be a reason. Time. You don't have the time. No one has the time. We are all way too busy. Right? Doing something big takes time. Time to plan, to train, time to just get your mind around the idea that for a month you will be paddling a kayak or hiking a trail or climbing a mountain. Start there. But really, having the time to take a month off isn't easy. Except, nonsense, this is completely doable, and I’m going to tell you how. The “time” excuse is really a permission problem. See #5. You have the time. It is making the time a priority that is difficult. What about skills? I don’t have the skills to do this. I can't ride a bike, I can’t hike 1000 miles. I can't paddle 500 miles in a month. Maybe I should work on my forward stroke and rescue skills, and paddling in surf, and wind and cold water. And cycling, maybe I need to be stronger to climb hills, and learn to descend big hills safely. Mountain biking definitely has a skill set that needs to be learned. As does rock climbing, and mountain climbing. Skills or the lack thereof will certainly keep you from doing an epic trip. Except, guess what? Skills can be learned. Skills are supposed to be learned. We can use the process of learning new skills to build the foundations we need to do amazing outdoor trips. It can become part of the training for your trip. You want to climb El Capitan? Spend a couple of days climbing Cathedral Wall in New Hampshire. You want to ride cross country? First ride across your state, and before that, ride across your county. Before that, ride across your town. By starting with small trips and building to bigger ones, you will learn all about your needs while performing. 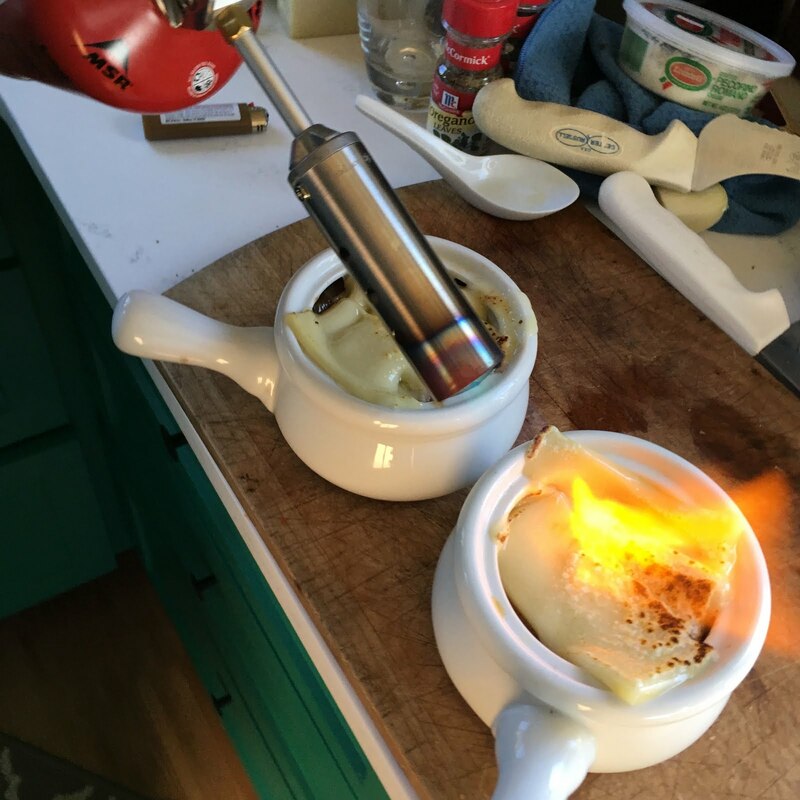 You will learn what your food and fuel requirements are. What kind of seat you like in your boat, or on your bike. You will make all sorts of mistakes and learn from them. Wouldn't you rather do that paddling on a lake near your home, than on the coast of Alaska? With some hard work, and honest judgement, skills will come. Permission. I don't have permission. From my partner, from my work, from my family, from my dog to take a month off. I simply have too many responsibilities. Guess what? Nonsense. All of these reasons, time, money, responsibilities and skills are problems of insufficient resources. Insufficient resources can always be overcome by resourcefulness. Always. So what are the real reasons we don't do big trips? It isn't a lack of money. It isn't a lack of time. It is a lack of resourcefulness, partnered with fear. Fear. It is really that simple. I won't be able to do this. I will look stupid. I’ll be ridiculed. I will fail, and people will make fun of me. I don't have enough knowledge. Fear. Fear is real. It sounds counterintuitive, but don't be afraid of fear. Fear is a driver. Fear is a motivator. Fear will help you think through every detail for your trip. Fear will help you prepare. Fear will get you to take that wilderness medicine course, which almost guarantees that you wont need any of those wilderness medicine skills. Fear can be a motivator, if you allow it to be. But fear can also paralyze you, keeping you from doing that trip you always wanted to do. Embrace fear, and work through it. There is one other reason why people don't do epic trips. Age. Regardless of what age you are, age becomes a reason. You are an adult, and having the ability to take that kind of time off is only possible if you are a teen or not yet in your "real career." Unfortunately, when you are a young adult, done with high school perhaps, but not finished with college, you may have the time but you don't have the money, or the discipline to be careful with your money to do a trip like this. I used to work freelance, and when I had the time I didn't have the money and when I had the money I didn't have the time, or at least that was the excuse. All of the previously mentioned reasons for not doing a big or epic trip, can be beaten by doing one thing first. One simple thing. It is hard at first, but once you do this simple thing it makes all the other things easy. It is deciding that you are going to do an epic trip. That is it. It is having the realization that you can work through any problem put in front of you, to get to a goal. Once you decide you are going to do it, really decide, you will let nothing get in your way. For more information on how to make a big trip happen, check out my book.